Acupuncture’s increased endometrial receptivity, which is the ability of the endometrium to accept a blastocyst (the embryo on day 5 is called a blastocyst, which has approximately 70–100 cells) and allows it to adhere, penetrate, and morphologically change. Only a certain percentage of eggs mature, are fertilized, and transform into blastocysts. In this study, transvaginal ultrasonography was utilized to examine endometrial morphology, thickness, and blood flow status for predicting endometrial receptivity. Endometrial morphology was measured by the percentage of type C endometrial patterns found. Type C patterns are predictive of higher pregnancy rates. Endometrial hemodynamic parameters used in the study included peak systolic blood velocity/end-diastolic blood velocity (S/D), resistive index (RI), and pulse index (PI); the lower the S/D, RI, and PI values, the greater the chance of pregnancy. The number of the type C endometrial patterns in an acupuncture plus fertility medication treatment group was significantly higher than those in a fertility medication monotherapy control group. The endometrial hemodynamic parameters (S/D, RI, PI) were significantly lower in the acupuncture plus fertility medication treatment group than those in the drug monotherapy control group. The type C endometrium pattern appears as a multilayer structure with prominent outer and midline hypoechogenic lines and inner hypoechogenic regions. Gonen et al. find that the type C endometrial pattern indicates higher pregnancy rates per embryo transfer compared with type A or B endometrium patterns. The Qingdao University researchers confirm that acupuncture increases the rate of type C patterns. S/D, RI, and PI are used to predict pregnancy outcomes of IVF-ET. Researchers find that these parameters are negatively correlated with pregnancy outcomes. For example, Wang et al. note, “It has a better outcome for parameters with low endometrial blood flow (such as low PI, RI, S/D) of IVF-ET compared with those who had high blood flow parameters.”  The addition of acupuncture to fertility medication therapy significantly lowered these values. Qingdao University researchers (Chen et al.) used the following study design. A total of 114 patients were treated and evaluated. All patients received IVF-ET. They were randomly divided into an acupuncture treatment group and a drug monotherapy control group, with 57 patients in each group. For the control group patients, the long gonadotropin-releasing hormone agonist (GnRH-a) protocol was administered. The long GnRH-a protocol is recognized as a gold standard for controlled ovarian hyperstimulation in IVF. The treatment group received acupuncture and moxibustion in addition to the identical drug therapy administered to the control group. The statistical breakdown for each randomized group was as follows. The average age in the treatment group was 31 years. The average duration of infertility in the treatment group was 3.71 years. The average age in the control group was 31 years. The average duration of infertility in the control group was 3.61 years. There were no significant statistical differences in relation to age, duration of infertility, IVF cycles, BMI, basal follicle-stimulating hormone levels, basal luteinizing hormone levels, and basal estradiol levels relevant to patient outcome measures for patients initially admitted to the study. Both groups were administered the long GnRH-a protocol. While effective, the downside is that this protocol (along with other GnRH-a ovulation stimulation protocols) causes reduced endometrial receptivity in IVF-ET. The long GnRH-a protocol includes the use of following drugs: triptorelin injection, follitropin beta injection, human chorionic gonadotropin (hCG) injection. Triptorelin is a gonadotropin-releasing hormone analogue that regulates the stimulation of luteinizing hormone (LH) and follicle-stimulating hormone (FSH). Follitropin beta is a man-made follicle-stimulating hormone that treats infertility. Human chorionic gonadotropin injection is a medication used for promoting ovulation and infertility treatment. The long GnRH-a protocol started with administration of 0.05 mg triptorelin in mid-luteal phase of the cycle (on cycle-day 21), once per day, for a total of 14 days. Next, follitropin beta injection was administrated subcutaneously at 150–200 international units (IU) daily starting approximately on day 15 of the treatment, for a total of 4 days. The starting time of follitropin beta injection is based on hormone levels and ultrasonic scanning results. When follicular size reached more than or equal to 18 mm, muscular administration of 8000 IU hCG began. After 36 hours from the hCG injection, the mature oocytes were retrieved, followed by the administration of progesterone for luteal supplementation. Embryo transfer began on day 3 of oocyte retrieval, followed by another round of progesterone administration for luteal supplementation. In this protocol, transvaginal sonography (TVS) and hormonal levels including FSH, LH, estrogen, and progesterone were routinely monitored. After disinfection of the acupoint sites, 0.25 × 25 mm disposable filiform needles were inserted perpendicularly into each acupoint, reaching a depth of 10–20 mm. Manual acupuncture stimulation techniques for obtaining deqi included lifting, thrusting, and rotating. Once a deqi sensation was obtained, the ping bu ping xie (attenuating and tonifying) manipulation technique was applied every 10 minutes during the 30-minute needle retention time. When the needles were retained, a moxa box was placed on CV8 (Shenque). A moxa cigar in the box was ignited and left in place to self-extinguish. A total of 5–7 moxa cigars of medium length were used, lasting for 30–60 minutes. Treatments were applied once per day. Each treatment course began when ovulation promotion treatment started in the long GnRH-a protocol and lasted until embryo transfer. All treatment group patients received three treatment courses in total. The researchers cite independent scientific research demonstrating that failed embryo implantation plays an important role in perpetuating infertility. For example, Norwitz et al. note that “Of the pregnancies that are lost, 75 percent represent a failure of implantation.” They determine that “Failed implantation is also a major limiting factor in assisted reproduction.” They explain, “Though high-quality embryos can often be transferred into the uterus, only a few embryos can successfully be implanted during the IVF-ET cycle.”  The results indicate that acupuncture combined with the long GnRH-a drug therapy into an integrated treatment protocol is more effective than long GnRH-a protocol monotherapy. Chen et al. conclude that acupuncture increases the success rate of IVF-ET. This study was conducted to determine whether acupuncture can improve endometrial receptivity and benefit IVF-ET outcomes. 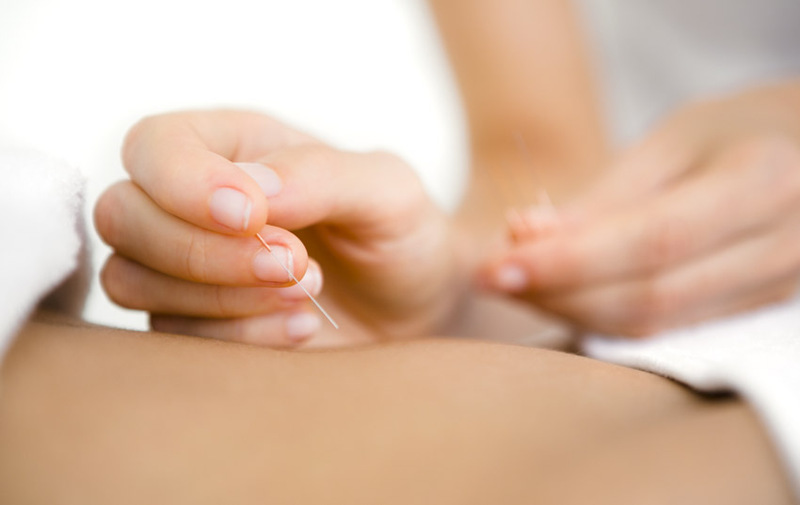 The researchers note, “A better understanding of acupuncture mechanisms responsible for implantation may improve the ability to treat disorders related to these processes, including infertility.” They learned that the adverse effect rate was significantly mitigated in the acupuncture group versus the drug monotherapy group. Given the sophistication of the multi-drug fertility protocol, it is not surprising that the need for monitoring and treating adverse effects is of concern. The data indicates that acupuncture benefits positive patient outcomes rates while simultaneously mitigating adverse effects, indicating that acupuncture increases the safety and efficacy of long GnRH-a protocol fertility treatments. Chen Q, Hao CF. Impacts on pregnancy outcome treated with acupuncture and moxibustion in IVF-ET patients [J]. Chinese Acupuncture and Moxibustion, 2015,35(04):313-317. Gonen Y, Casper RF. Prediction of implantation by the sonographic appearance of the endometrium during controlled ovarian stimulation for in vitro fertilization (IVF) [J]. J In Vitro Ferti Embryo Transf, 1990, 7 (3): 146-152. Lina Wang, Jie Qiao, Rong Li, Xiumei Zhen, Zhaohui Liu. Role of endometrial blood flow assessment with color Doppler energy in predicting pregnancy outcome of IVF-ET cycles [J]. Reprod Biol Endocrinol. 2010; 8: 122. Wei M, Zhang XM, Gu FL, Lv F, Ji YR, Liu KF, She H, Hu R. The impact of LH, E2, and P level of HCG administration day on outcomes of in vitro fertilization in controlled ovarian hyperstimulation [J]. Clin Exp Obstet Gynecol. 2015;42(3):361-6. Grow D, Kawwass JF, Kulkarni AD, et al. GnRH agonist and GnRH antagonist protocols: comparison of outcomes among good-prognosis patients using national surveillance data. Reprod Biomed Online 2014; 29:299-304. Borm G, Mannaerts B. Treatment with the gonadotrophin-releasing hormone antagonist ganirelix in women undergoing ovarian stimulation with recombinant follicle stimulating hormone is effective, safe and convenient: results of a controlled, randomized, multicenter trial. The European Orgalutran Study Group[J]. Hum Reprod, 2000, 15(7):1490-1498. Norwitz ER, Schust DJ, Fisher SJ. Implantation and the survival of early pregnancy [J]. N Engl J Med, 2001, 345(19): 1400-1408.